Made from an Extra-Strong, Very Tough Synthetic Material that Resists Wear-and-Tear (53"x15.5"). 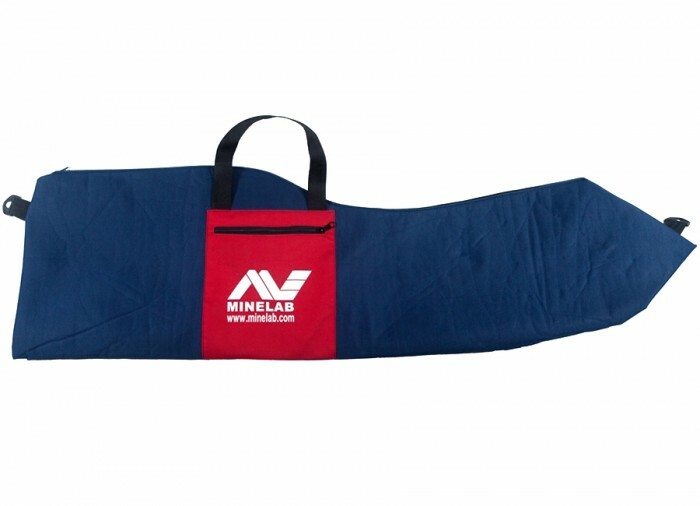 Authentic Minelab Carrying Bag. Not a cheap copy! 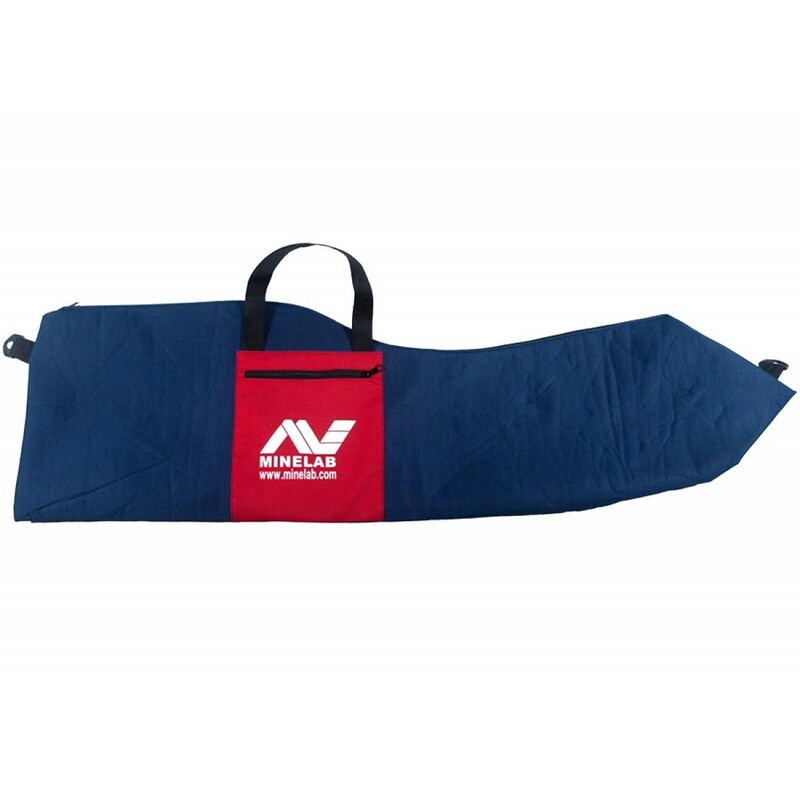 Made from an extra-strong very tough synthetic material that resists wear-and-tear yet is pliable enough to wrap itself around your metal detector within the protective cocoon of the nylon interior liner that is well padded for maximum protection. Clip on the adjustable full length carrying strap to carry the bag over your shoulder and free your hands to use your metal detector if you will be walking long distances. 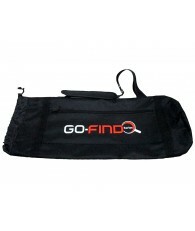 Comes with a Bonus 10x12" zippered pocket to carry digging tools, small search coils, or to store your treasure finds. 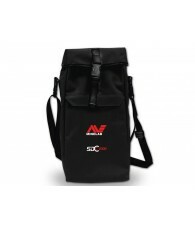 All have Minelab logo on bag. Similar, cheaper copies of bags can not use the Minelab ML logo. Advertised elsewhere for $119.95.